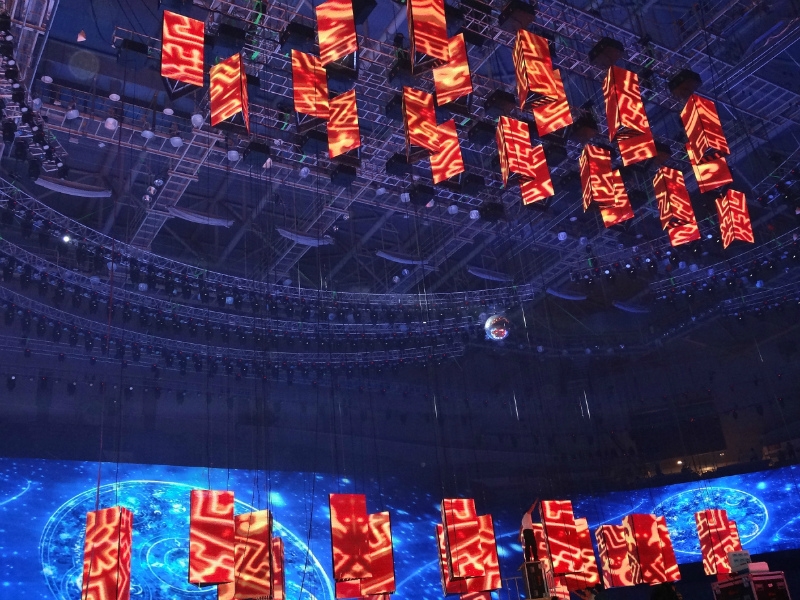 Kinetic or dynamic led display array is made by creative led display and kinetic DMX lifter/hoist. 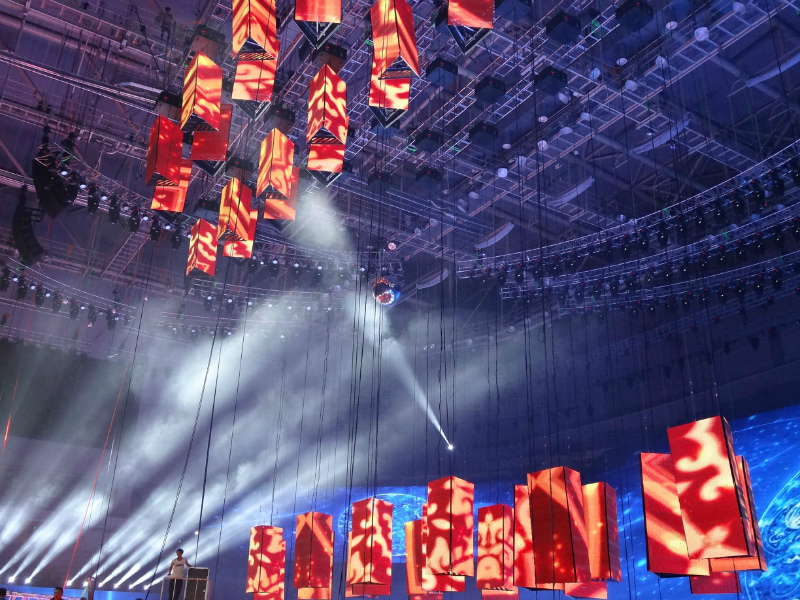 It is a creative design combining creative led lighting technolody, DMX mechanics and creative led display technology. 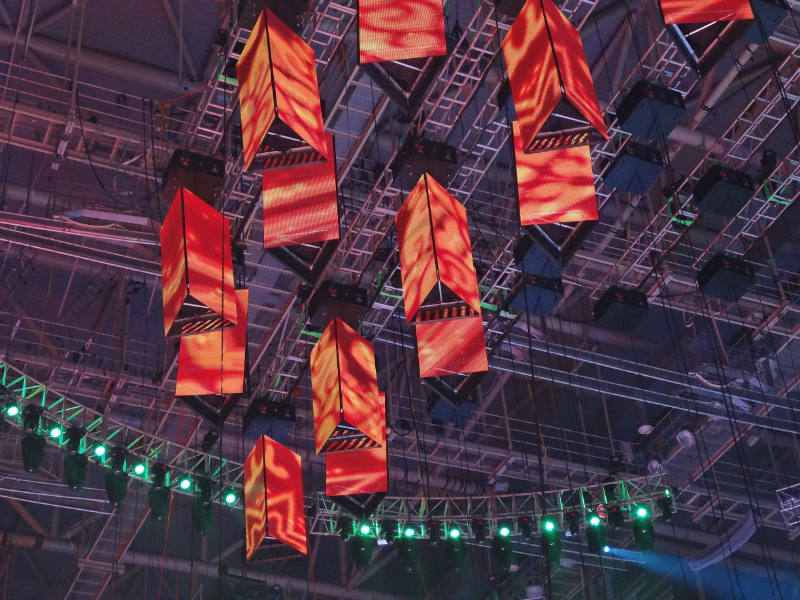 With this design, your led display will not be a old fashioned flat screen, but is arranged in a dynamic array. 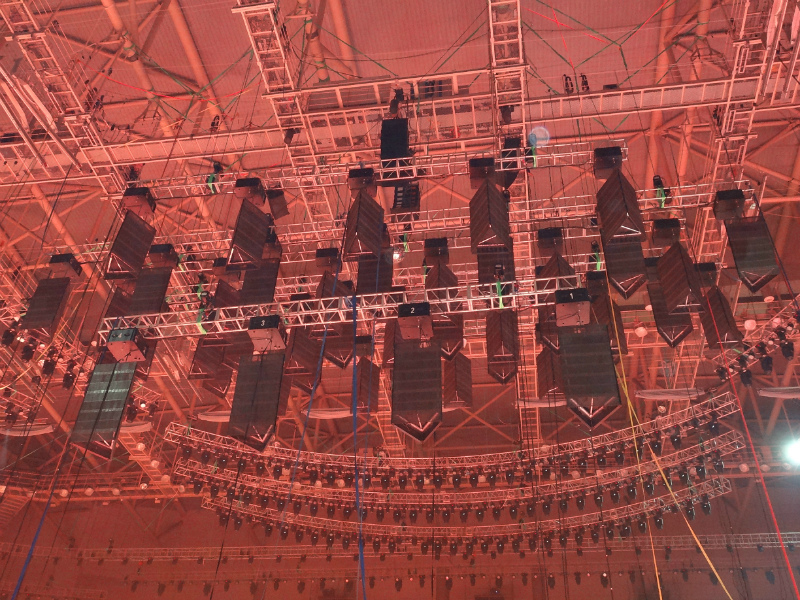 with programming of the DMX lifter and video mapping of the led display array, all parts will be dynamic and 3D effect. It can distinguish yourself from millions of common designs. 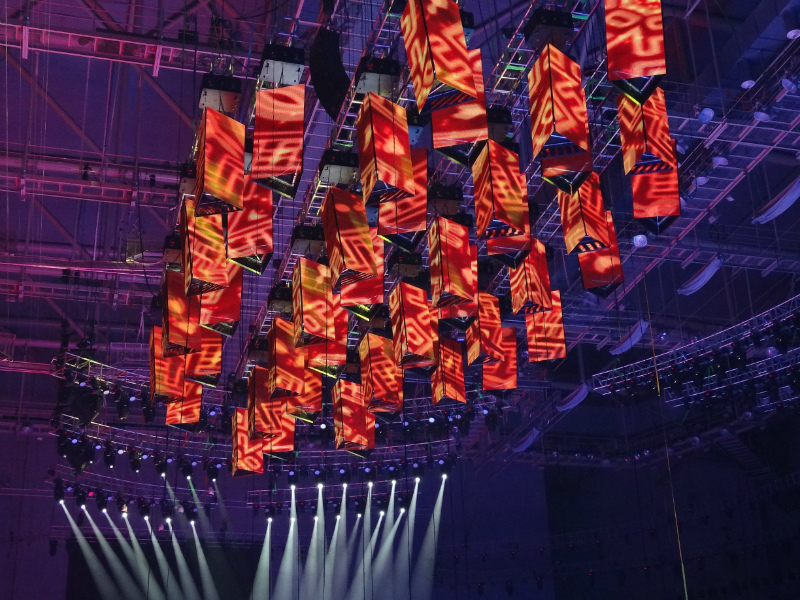 Either hanged with triangle shape led column, round shape led column or small led globes or DMX led lights, it can create unique display effect. From now on, make your led display alive!